Verizon to Go to Tiered Data on July 7th? 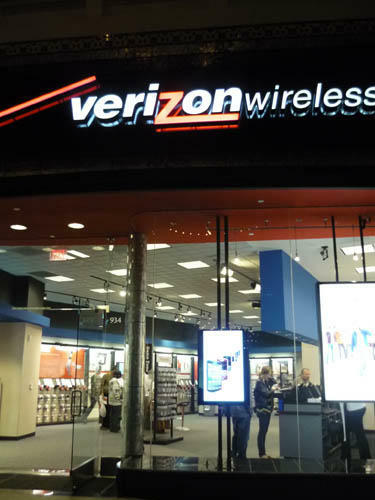 Verizon is preparing to go to a new tiered data plan for its phones on July 7th it appears. In a story first brought to light by Droid Life, the company is ending a current unlimited promotion on July 6th, and then on July 7th new customers will be treated to a new plan that is only slightly better than what is offered by AT&T. If you go over your monthly allotment, it’ll run you $10 per 1 GB for either plan. Adding to the proof that this is actually happening, a Verizon employee passed on the following letter to Droid Life that area vice presidents have begun sending out to prep the employees. Greetings team, it’s [redacted], your Area Vice President of Marketing and Sales Operations. As we approach the summer solstice, I wanted to reach out to the team and overview what I believe represents a significant and exciting evolution around how we package data solutions to our customers and the marketplace. In what has been a year of amazing performance by the [redacted] Area including company leading year-over-year churn improvement, successful introduction of the iPhone 4, strong post paid gross and net adds and industry leadership in launching our 4G LTE network; we find ourselves entering into a period of transformational innovation within Verizon Wireless and the wireless industry as a whole. Our ability to out execute and deliver upon the promise of The Credo everyday has allowed us to maintain the industry leadership. At the same time, accelerated market expectations coupled with the introduction of many emerging solution categories has created new opportunities for us to meet and exceed the needs of our customers. Data Pricing Evolution…The Present Our legacy data pricing structure was designed to address a somewhat different customer need profile than what we are seeing and can expect in the future. Consider this. Data usage has more than doubled over the last three years. Consumers and business users alike are doing more and more with their mobile devices. The notion of “send and end” has migrated to “managing multiple aspects of one’s lifestyle through mobility.” Whether it’s social media (85%+ of Smartphone users), mobile internet (88%+ of Smartphone users), or email/applications (71%+ of Smartphone users), this usage has one thing in common—dramatically increased demand for data and media consumption. The Value Benefit Equation… With the new usage based pricing plans, the vast majority of our customers will be able to enjoy their typical level of data consumption for the same value that they outlay today. Additionally, for those who have greater requirements for data, we will have solutions that they can tailor to their unique needs. Let’s Do What WE Do… Our expectation to extend our market leadership will be largely dependent on our demonstrated ability to “operationalize” in the face of an ever-changing environment. The successful launch of our new data pricing solutions represents a key milestone in our continued march to excellence. Over the next few weeks, you will be receiving much more insight, information, and learning opportunities around this significant evolution in how we provide our industry leading best solutions, to the right customer, that best satisfies their needs. I have every confidence in our ability to execute this flawlessly because it is the Verizon Wireless and South Area way. Our customers expect and deserve nothing less. To paraphrase a quote from a favorite cinematic masterpiece of mine from the 80’s, Top Gun, “Verizon Wireless is engaged. The South Area has the lead…” Let’s do what we do. It looks like this only applies to new customers for now, but those that are up for renewal soon may also find themselves faced with it. Those of you under an existing contract our secure … for now. We’ll just have to see what the plans are for down the road when it comes time to renew or upgrade your devices. What do you think of the new Verizon pricing plan?